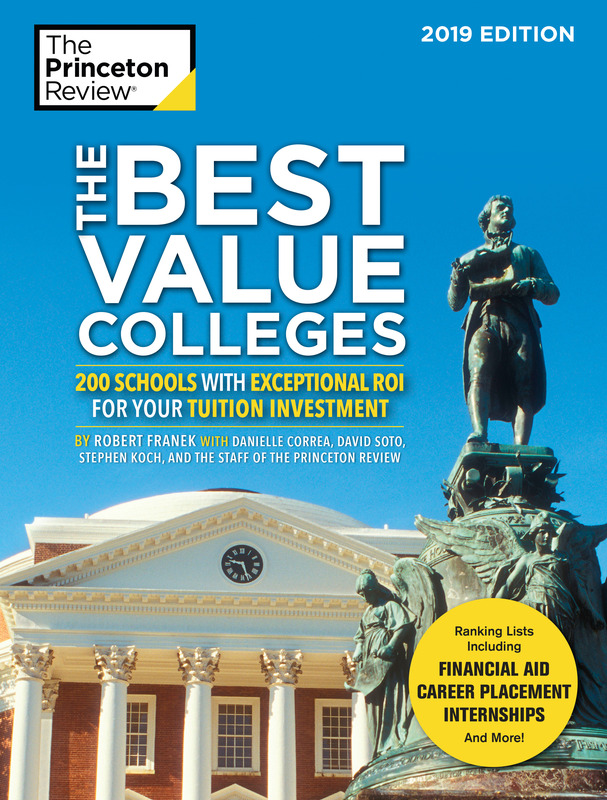 Princeton Review names City College "Best Value Colleges: 2019 Edition"
City College is named "The Best Value Colleges: 200 Schools with Exceptional ROI for your Tuition Investment" by The Princeton Review 2019 Edition. The City College of New York is one of the nation's best colleges for students seeking a superb education with great career preparation at an affordable price, according to The Princeton Review®.” CCNY features in the 2019 edition of its annual guide, “The Best Value Colleges: 200 Schools with Exceptional ROI for Your Tuition Investment (Penguin Random House / Princeton Review Books, $22.99, January 29, 2019) available today. The Princeton Review chose the schools based on data it collected in 2017–18 from its surveys of administrators at more than 650 colleges. The company also factored in data from its surveys of students attending the schools as well as surveys of school alumni that PayScale.com conducted through April 2018. More than 40 data points to tally ROI (return on investment) ratings were used to determine selection of the 200 schools for the book. Topics covered everything from academics, cost, and financial aid to graduation rates, student debt, alumni salaries, and job satisfaction. "We salute City College and all of our “The Best Value Colleges.” They stand out for their outstanding academics and their affordability via generous financial aid to students with need and/or comparatively low sticker prices," said Robert Franek, The Princeton Review’s Editor-in-Chief and lead author of the book. "Students at these colleges also have access to extraordinary career services from their freshman year on, plus a lifetime of valuable alumni support." The "Career Information" section in the profile lists an exceptional ROI rating score of 87 for CCNY. It also cites PayScale.com figures reporting CCNY's graduates with at least a bachelor's degree have a median starting salary of $53,800 and median mid-career salary of $98,500. City College annually receives high rankings from the Princeton Review. In August, the education services company named CCNY, in its 2019 edition, “The Best 384 Colleges” for the seventh consecutive year. The Princeton Review is a leading tutoring, test prep and college admission services company. Every year, it helps millions of college- and graduate school-bound students achieve their education and career goals through online and in person courses delivered by a network of more than 4,000 teachers and tutors, online resources, and its more than 150 print and digital books published by Penguin Random House. The Princeton Review is headquartered in New York, NY. The Princeton Review is not affiliated with Princeton University. For more information, visit www.PrincetonReview.com. Follow the company on Twitter @ThePrincetonRev.